The highly anticipated 8th album from The Grascals will be released on Tuesday, 19th Nov. When I Get My Pay, (Mountain Home Music), is currently available for pre-order from iTunes. The three-time Grammy nominated band has already released the companion video for one album cut. “American Pickers” was penned by Jamie Johnson, Susanne Mumpower Johnson and Jeffrey East after members of The Grascals met and became friends with Mike Wolfe of the hit History Channel television show, American Pickers. Country superstar and Grascals’ pal, Dierks Bentley, lends his vocals to the album cut and appears in the music video, along with Wolfe. “We all love the American Pickers TV show, so it was a thrill when I got to meet Mike,” Jamie Johnson says. Wolfe and Johnson met at a celebrity waiters’ event for charity about a year ago and struck up a friendship. The music video was shot on location during The Grascals’ Riverstage appearance at the 2013 CMA Music Festival in Nashville and at the Cash Cabin Studio in Hendersonville, TN, a property owned by the Johnny Cash family. The Grascals are among the most beloved and acclaimed bands on the bluegrass scene, The Grascals have been repeatedly honored for their work. The reigning SPBGMA Instrumental Group of the Year (for the 3rd year in a row), the group was named SPBGMA’s Bluegrass Band of the Year 2010. 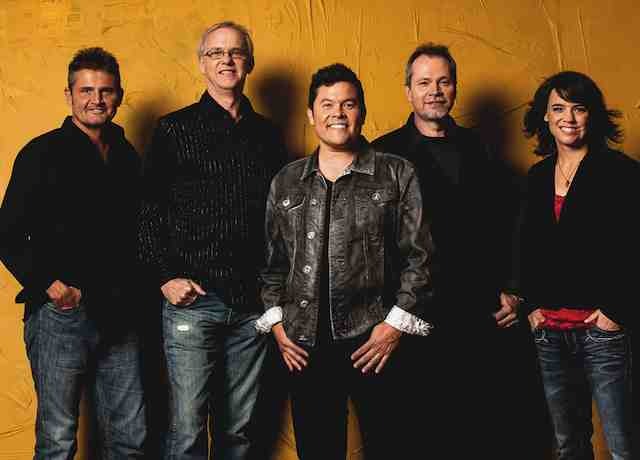 The Grascals have also received the IBMA (International Bluegrass Music Association) Emerging Artist of the Year award (2005) and Entertainer of the Year award (2006, 2007). Kristin Scott Benson is a four-time winner of the Banjo Player of the Year Award and Danny Roberts has been honored as Mandolin Player of the Year. The band recently welcomed fiddler, Adam Haynes, to the fold as the newest band member. The Grascals are three-time Grammy Award nominees. They have nearly 150 appearances on the legendary stage of the Grand Ole Opry to their credit.